Do you remember this water song by The Beatles? 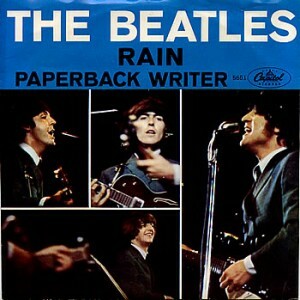 Although the song was filler for the “Paperback Writer” single, many fans consider “Rain” the best B-side Beatles song ever. In 1966, John Lennon tired of people complaining about the weather. With Paul McCartney, the song Rain was born. See and hear it here, in one of three promotional films the group made for the song.